I’ve often wondered why hipster cafes are a go-to for many when they’re in need of a coffee fix or a place to do their work. Mine has always been Starbucks until I chanced upon Amber Ember at Upper Serangoon. This homely yet picturesque cafe provides the ideal space to get your coffee fix. You might even find yourself lingering longer because it’s so comfortable! 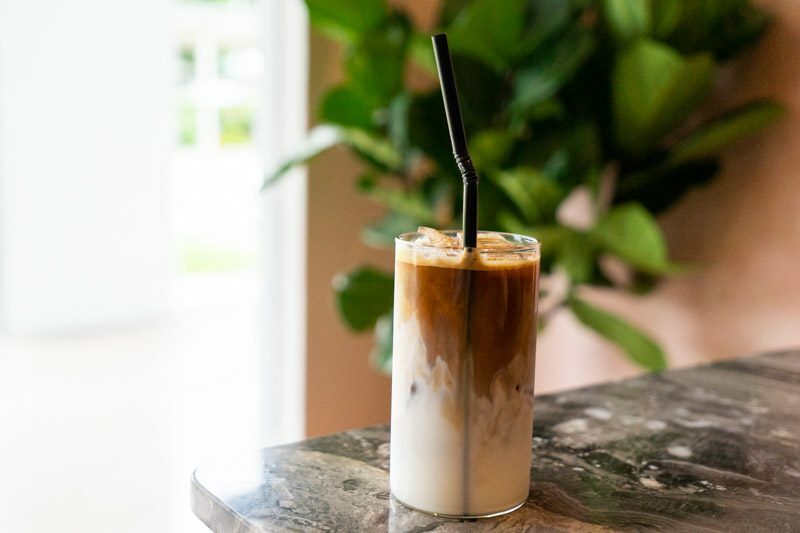 This cafe isn’t like any other, and it comes with its own story — the owner of Amber Ember, Abigail, created this space with the idea to make it like a home. With her architect background, she designed every part of the cafe herself, from picking out furniture pieces to painting the walls. 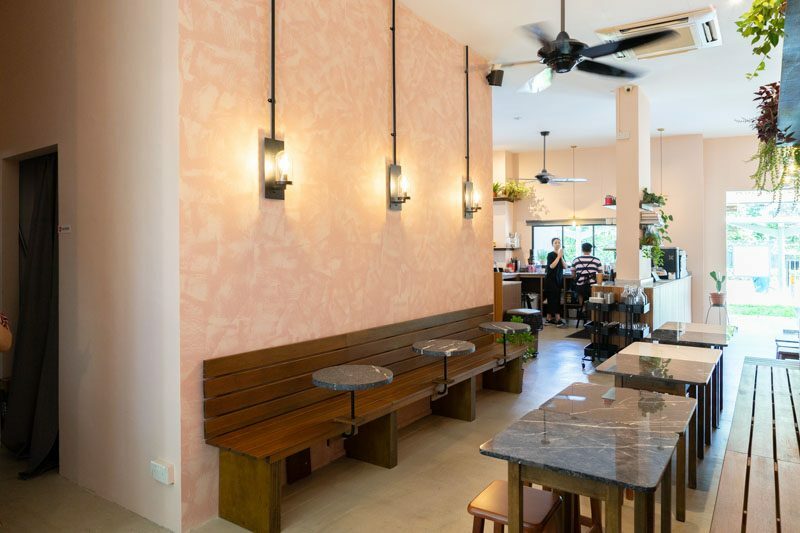 Using warm lights, marble tables, wooden benches and plants, the cafe looks like the quaint little backyard of someone’s home. You can come here for a coffee fix and snag a corner seat to do your work or you can try their Jaffles, like everyone else who comes here! ‘Jaffles’ is the Australian version of toasted sandwiches, or toasties. 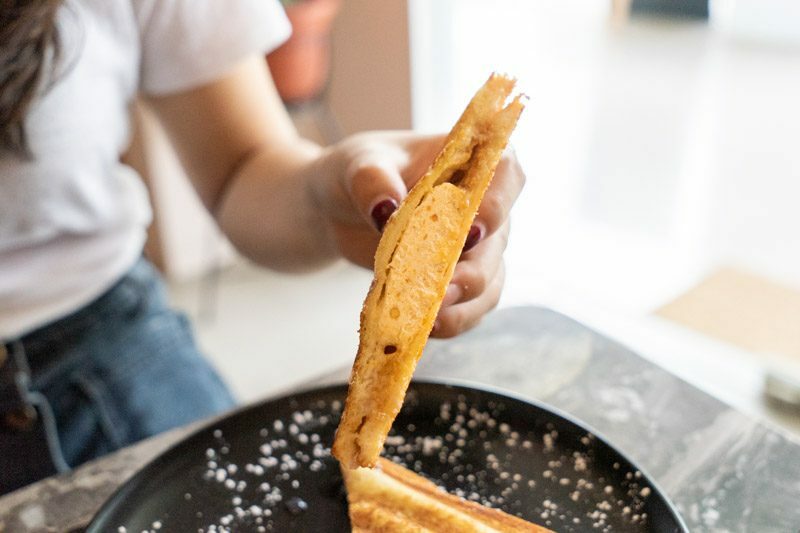 We went straight for the sweet Jaffles, because why not have dessert first? The PB & Jelly Jaffle (S$8), recommended by Abigail, was the perfect choice for us. Amber Ember’s PB & Jelly comes with homemade peanut butter, grape jelly and a frozen peanut parfait. 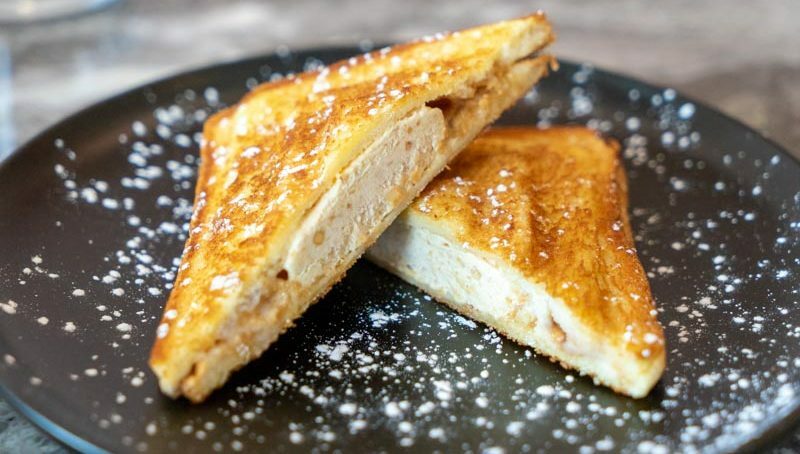 Once toasted, the exterior was warm and crispy, while the peanut parfait interior was still cold. Unlike the conventional PB & Jelly sandwich, the consistency of the parfait made it extremely light on the palate. Despite the combination of jelly and peanut butter, it wasn’t too sweet and we felt that it was a really enjoyable dish to start with. 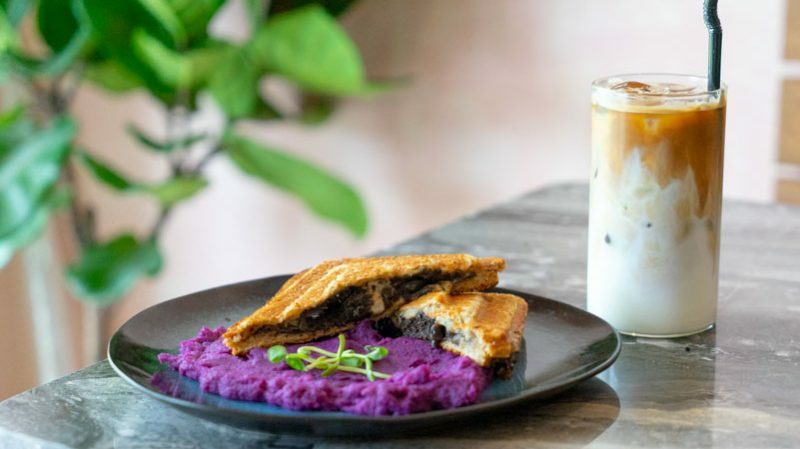 For a savoury choice, we went for the Truffle Shrooms Jaffle (S$11), which came with a side of purple mash. You can hardly go wrong with truffle and mushrooms together, and Amber Ember serves up a crispy toast filled with mushroom duxelle, portobello, pickled shimeiji and cheddar cheese. What I loved about the jaffle was its umami flavour. Yet if you’re expecting it to be too rich, it isn’t overwhelming and the portion was just nice. But if you want something heavier, try the Medi Brunch (S$12). The plate explodes in colour with vibrant red hummus, fresh red cherry tomatoes and golden cous cous. I expected this dish to be slightly bland, but the combination of ingredients created a burst of flavours — the tomatoes accentuated the sweetness of the dish. 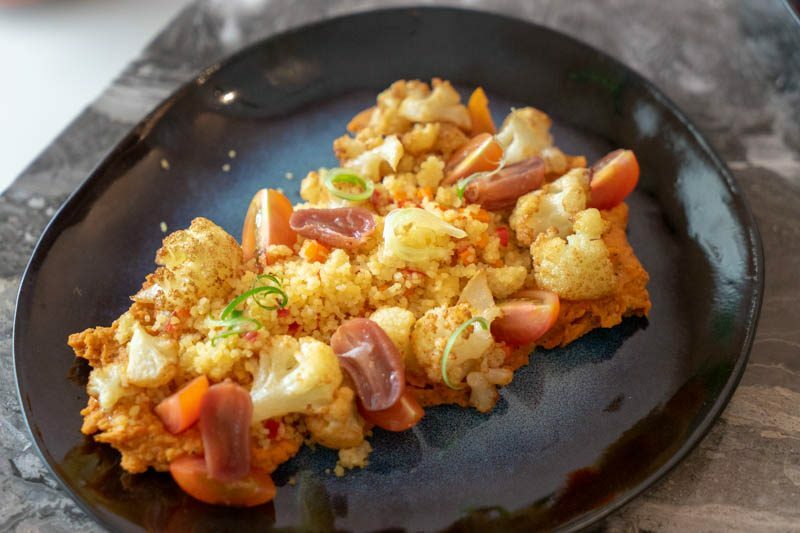 Pair it with the miso butter cauliflower for a savoury bite. 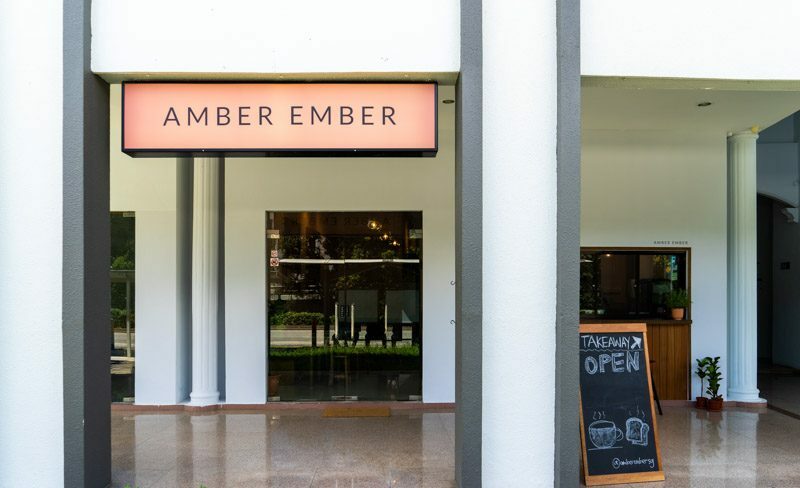 Apart from the usual brunch food, Amber Ember offers something that brings a little more familiarity. 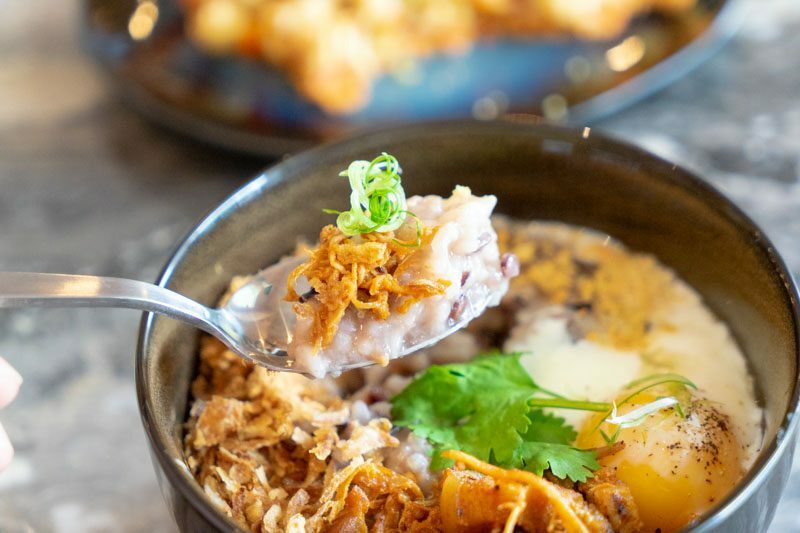 The Asian ‘Risotto’ (S$10) is a purple rice porridge served with sides of braised pork, runny egg, fried shallots and garlic. Amber Ember chooses to cook their rice into a risotto consistency rather than a congee consistency. Due to the cooking method, you’ll find the porridge is slightly thicker with a rougher texture. But that’s what I love about it. 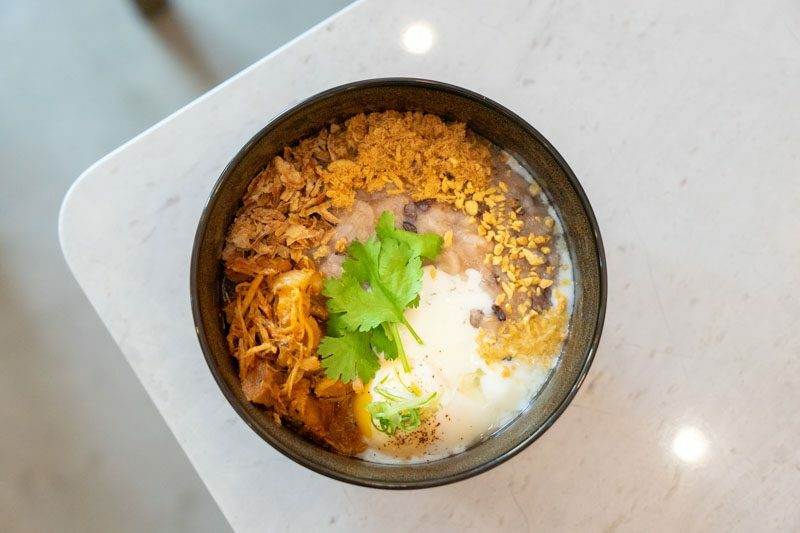 You can savour the porridge together with its toppings, especially the braised pork, for a more balanced flavour profile. You won’t be disappointed by their sides either. Amber’s Fried Chicken (AFC) (S$10) was uniquely tasty — six pieces of wings fried to perfection and drizzled with Sriracha and blue cheese ranch. Battered and fried to perfection with just the right amount of sauce and seasoning, this side dish will tingle your taste buds. For all you coffee lovers, Amber Ember doesn’t disappoint at all! The coffee has a robust body, and it lingers on the palate. Despite that, it doesn’t leave too much of a bitter or acidic aftertaste. I love their iced whites, but you can try their black coffee as well. Amber Ember provides the comfort of a home with quality jaffles and brunch dishes. Pop over to Upper Serangoon to treat yourself! 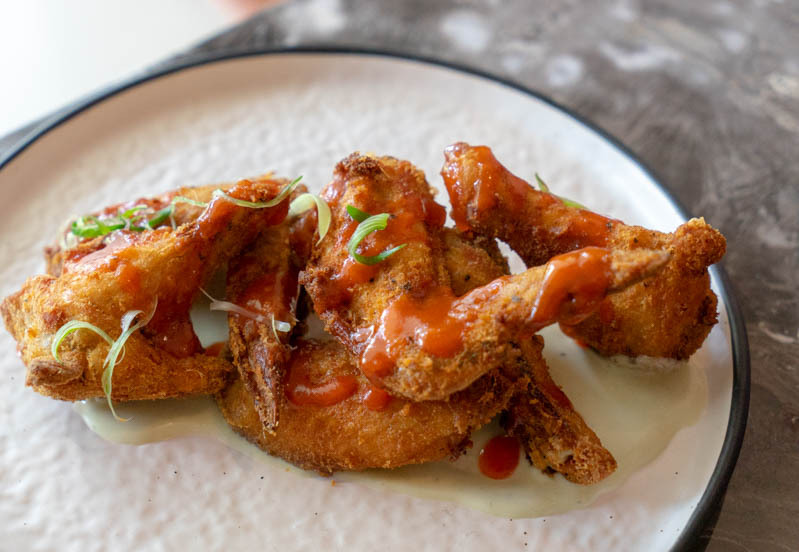 They’re still refining their menu and some dishes may not be permanent, but you won’t be disappointed with their thoughtfully curated dishes. Operating Hours: 9am - 6pm (Wed - Mon) Closed On Tuesday.